The Finnish capital hosted major U.S.-Soviet summits during the Cold War. The White House and the Kremlin have announced that Finland’s capital, Helsinki will be the venue when President Donald Trump and Russian President Vladimir Putin hold their first formal summit on July 16. The choice is, in many ways, not surprising. Helsinki has a history of hosting summits between U.S. and Russian leaders that stretches from the Cold War and has a long tradition of acting as a bridge between the super-powers. (AP) President Donald Trump meets with Russian President Vladimir Putin at the G-20 Summit in Hamburg, July 7, 2017. The Kremlin and the White House have announced Thursday, June 28, 2018, that a summit between Russian President Vladimir Putin and U.S. President Donald Trump will take place in Helsinki, Finland, on July 16. Sharing a border with its massive neighbor from which it only gained independence in 1917-- and with whom it has twice had to fight wars to retain that independence-- Finland has always had to manage a delicate balance between its desire to be close to Europe while maintaining cordial relations with Russia. Finland has remained outside NATO for instance and during the stand-off between the East and the West during the Cold War, it became neutral ground where Soviet and U.S. presidents could meet. Since the Cold War ended, Helsinki has retained its role as a mediator internationally, recently playing host to discussions around North Korea, as well as between high-level contacts between Russian and U.S. military officials. The most significant U.S.-Soviet summit hosted by the city was in 1975. During this time, President Gerald Ford met with the Soviet leader Leonid Brezhnev for talks that produced the “Helsinki Accords" -- when the U.S. and Soviet Union gathered 35 nations to forge a new Cold War understanding -- in which the countries committed to respecting post-World War II borders and the USSR was pushed into signing onto human rights conventions. In 1990, Helsinki hosted a U.S.-Soviet summit, this time between President George H. W. Bush and Soviet President Mikhail Gorbachev. The two met at a markedly different time to the present era -- the Soviet Union was collapsing, Russia and the U.S. were embracing one another as the Cold War ended. 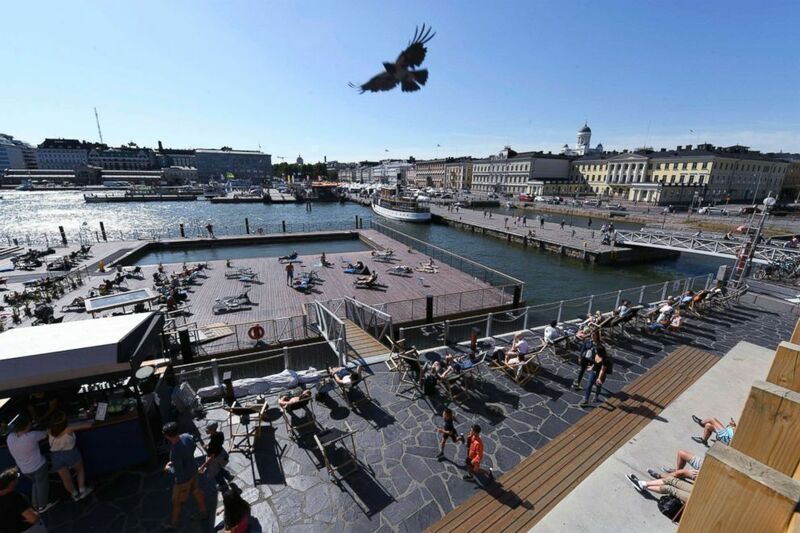 (Onni Ojala/Lehtikuva via AP) A view of the seafront, Allas Sea Pool oasis, in the foreground, the Market Square, and the Presidential palace, in Helsinki, Finland, June 28, 2018. 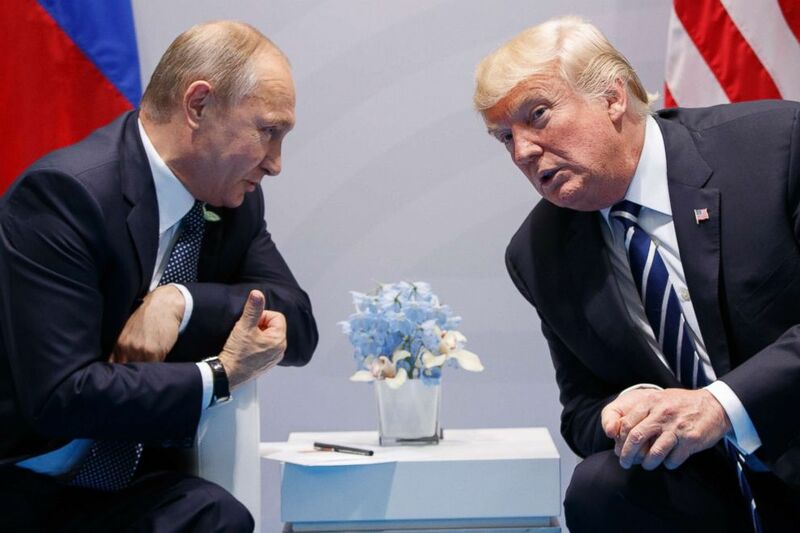 Russian President Vladimir Putin and U.S. President Donald Trump will hold a summit in Helsinki on July 16, the Kremlin and the White House announced Thursday. Two years earlier, President Ronald Reagan had also used Helsinki as a stopping off point to prepare for a major summit in Moscow with Gorbachev. Reagan stayed in Helsinki ahead of the summit to relax. As an official told The Los Angeles Times then, they picked Finland because it is "a place where you can go and do no heavy lifting." At the Clinton-Yeltsin summit disputes over arm control treaties and the expansion of NATO towards Russia’s borders were center stage. The summit was remarkable at the time for the breakthroughs the two sides made, particularly on arms control, with both agreeing to reduce their deployed strategic warheads by a third. Yeltsin also reluctantly accepted NATO’s expansion to include Russia’s former Soviet satellites. That and other concessions around missile defense prompted Russia's communists -- then, as now, in opposition -- to condemn the summit as the equivalent of the Treaty of Versailles that ended the first World War in 1919 and imposed a humiliating victor’s peace on Germany. 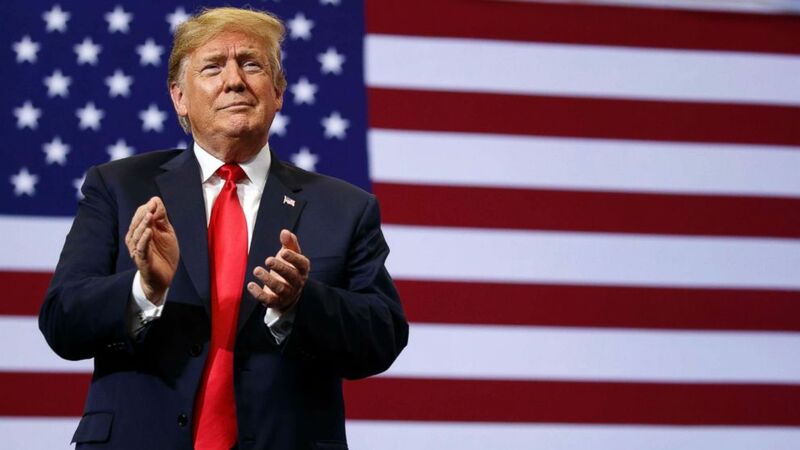 (Evan Vucci/AP, FILE) President Donald Trump claps as he arrives for a campaign rally, June 27, 2018, in Fargo, N.D. Almost two decades later, now President Trump goes into this summit calling for the same thing -- for Russia to be allowed in again after it was kicked out over its invasion of Ukraine.